Toffee, pecans covered in milk chocolate. 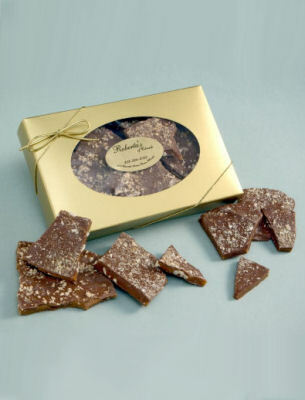 Toffee, filled with pecans, covered in milk chocolate, sprinkled with pecans. 10oz Box.